What a great day I had with my boys yesterday. We washed the car ourselves instead of taking it to the Car Wash which I am not a big fan of. To me going to the Car Wash is just a waste of money though very convenient if you do not to get wet. The car is not clean at all so I rather do it myself to my satisfaction. After we washed the car, we also watched a fireworks display here in town and Charles was very excited. It was our surprise for him though he noticed it was about fireworks as he saw plenty of cars on the school’s parking lot where Doug, teaches at. Later today, we are going to drive to Springfield, Missouri to watch a fireworks display at Doug’s friend Rick‘s house, for the 4th of July. Watching a fireworks display close to Rick’s house is very spectacular as we can see very well all the fireworks that goes up in the air. The fireworks are very stunning which I have never seen growing up in the Philippines. Aside from watching fireworks tonight, I also wanted to stop by at Seoul Market, and buy Bean Bread if the store is open. How about you, what are you looking forward to today? 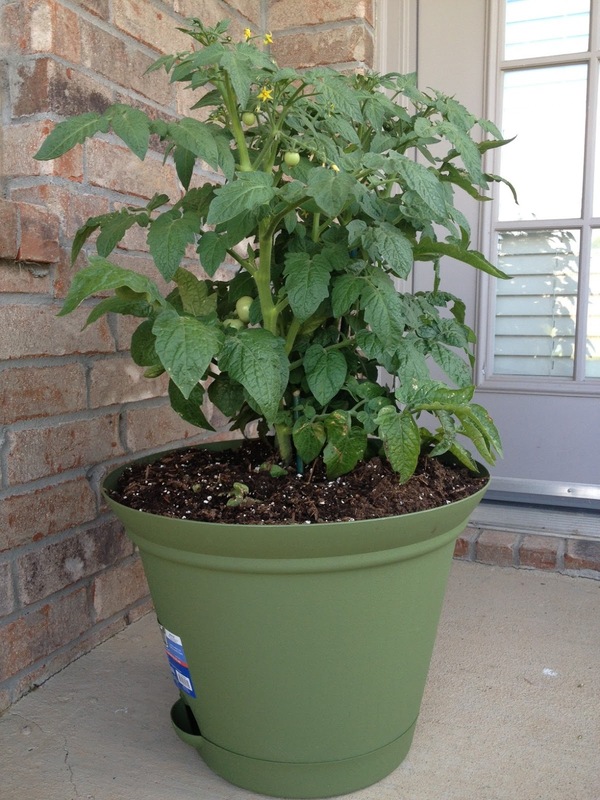 As for me, I always looked forward each day to see my tomato on our porch. Seeing tiny tomatoes on the branches makes me happy knowing each day the tomatoes are growing one day at a time. The bell pepper does not have any flowers yet but its good to see it is growing as well same with my lemon grass. Can You Believe July Is Almost Over?